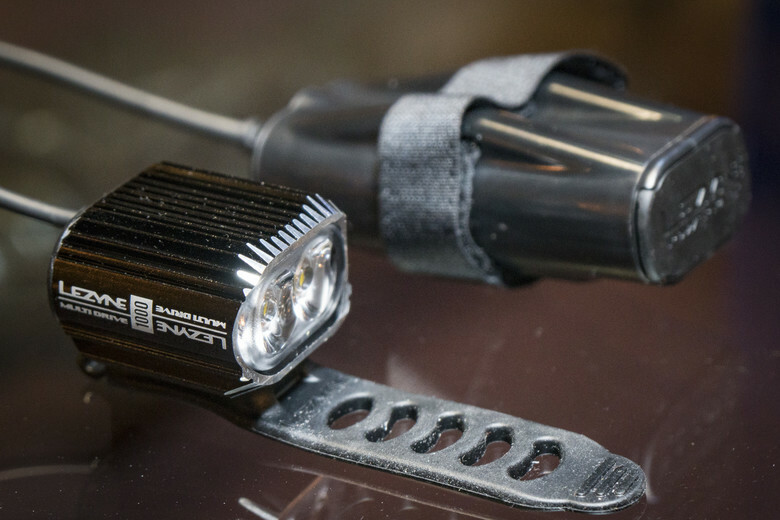 Lezyne introduces a new light system and shows their tubeless plug kit. 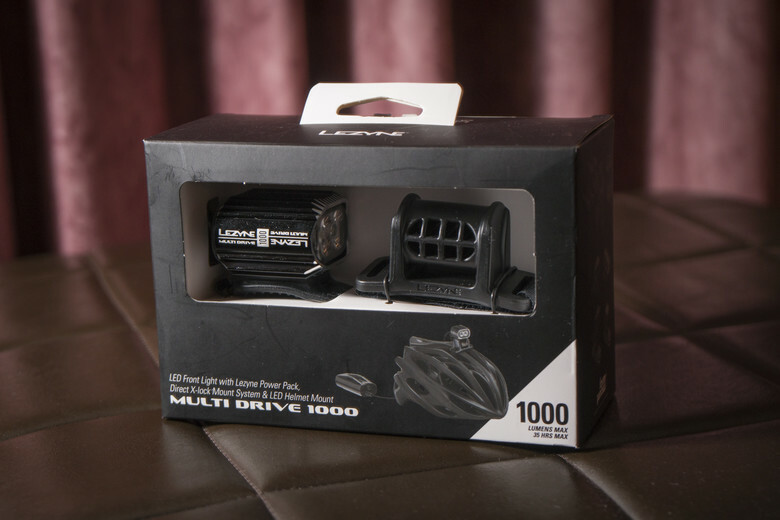 The Multi Drive 1000 is the first light from Lezyne with the battery pack separate from the head unit. 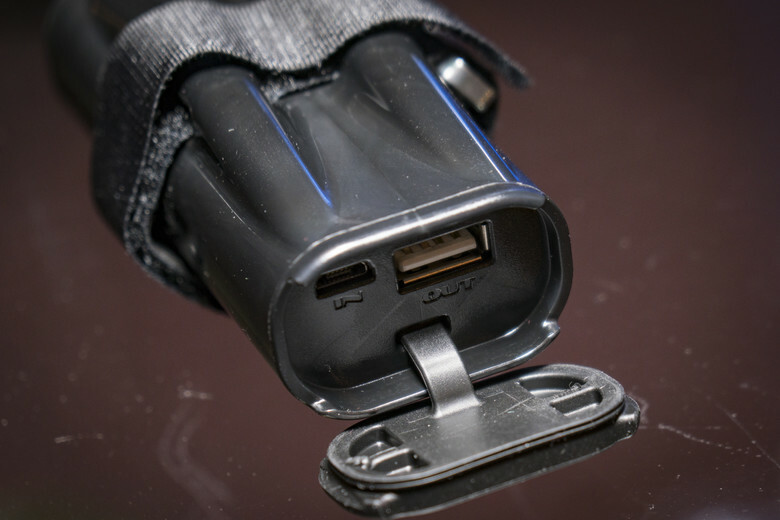 The advantages of this setup include a lighter head unit for more comfortable helmet mounting and the battery pack that can be easily swapped out during long-distance events. Lezyne claims the light will run for up to three hours at 1,000 lumens and as many as 18 hours at 150 lumens—you can choose from six different settings including two flash modes. The light is called the Multi Drive because it comes with multiple mounting options including a bar mount, a helmet mount, a GoPro mount and a Direct X-Lock Mount, which can attach to the front of your stem. Oh and one more thing, the battery has USB outputs so it can charge your phone just in case! The price is $169.99. Have you ever plugged a car or truck tire to fix a flat? While it may not be the most recommended way to fix a motor vehicle tire, many 4X4 owners know a plug works well, especially when you can’t tow your vehicle to a local shop. Tubeless mountain bike tires can be fixed the same way—especially for big punctures that don’t want to seal with tubeless fluid. 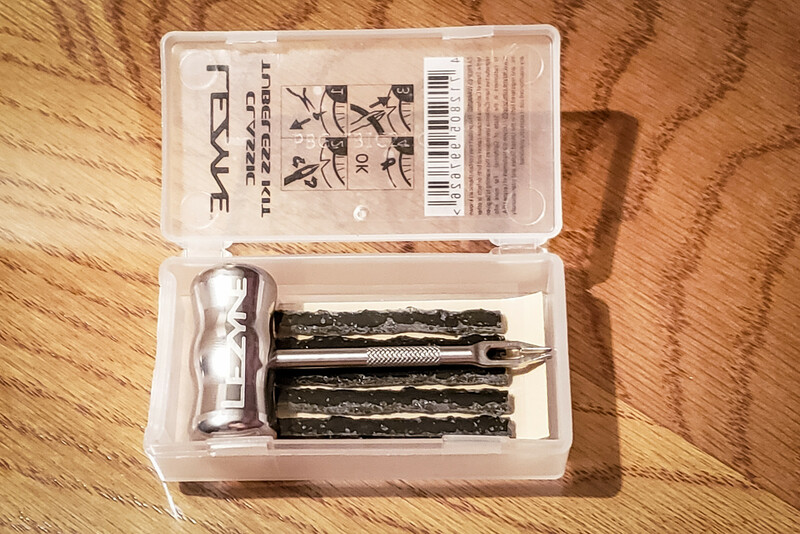 Lezyne sells the Classic Tubeless Kit for just $9—buy one, learn how to use it and stop walking home!